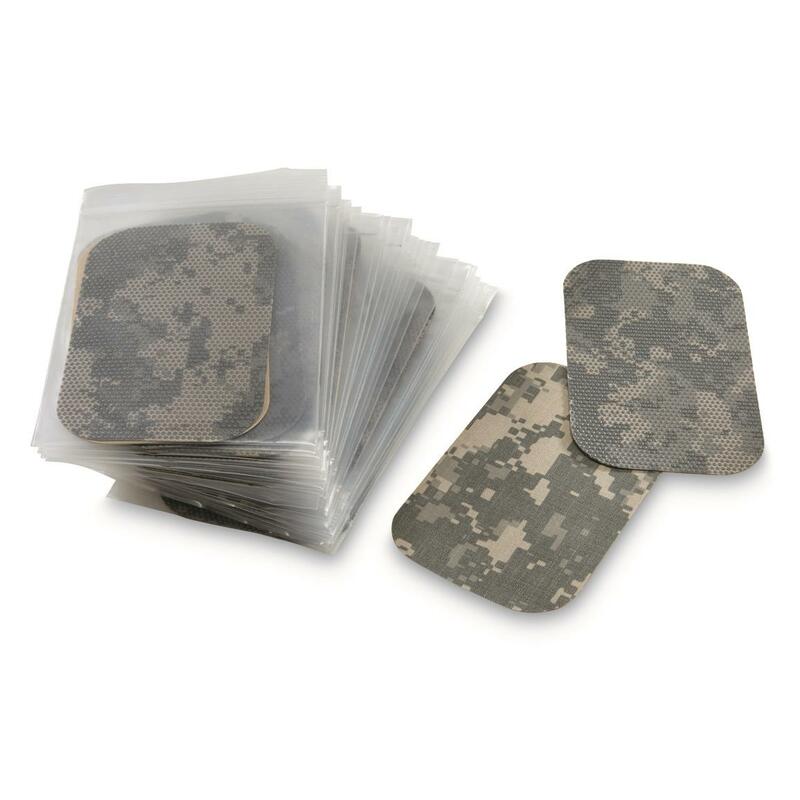 Each Patch is 6.25" x 3.75"
Ditch the sewing needle. 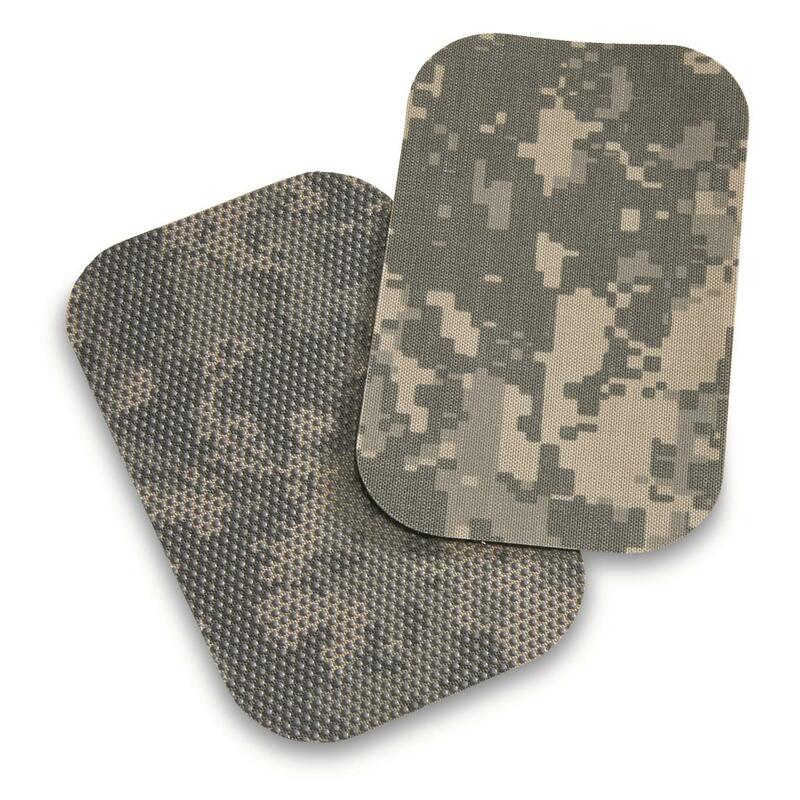 Peel-off patches with defiant adhesive take care of military clothing repairs in the field and beyond. Fix worn gear or add reinforcements to elbows and other high-wear areas. Each Kit consists of 2 patches: 1 textured for high-abrasion areas, and 1 cloth for general use. Patch dimensions: 6.25" x 3.75"